Spinning wing duck decoys can be one of the most effective decoying tools a duck hunter can use. The migrating, the younger and the early season ducks are drawn to the flash of a spinning wing decoy as if they are on a string and you are pulling them in. There has been much controversy over the use of this decoy by DFG, hunters, activists, governmental agencies, etc. as to the use being an unfair advantage and that more birds will be taken during the hunting season. As a duck hunter that has been using and making spinning wing decoys to attract ducks since their inception, I have noticed that if anything more ducks are taken home by duck hunters than ducks killed with the use of a spinning wing decoy. What I mean by this is, since the spinning wing decoy is so effective especially with hunters who don’t know how to set decoys or call, that the birds come in closer for clean shots. Whereas before these types of hunters, which are the majority of hunters, take longer shots and cripple more birds than they kill clean. The cripples, which eventually die would usually be more than a limit. If anything the evolution of the spinning wing decoy has become a conservation tool and has brought back enthusiasm and excitement into duck hunting for hunters. At Herban Hunter we have developed spinning wing duck hunting decoys with and without motors to fit any hunting situation. We have videos that show exactly how the spinner works out in the field. The flash of the spinning wing simulates landing ducks and can pull in ducks from great distances. 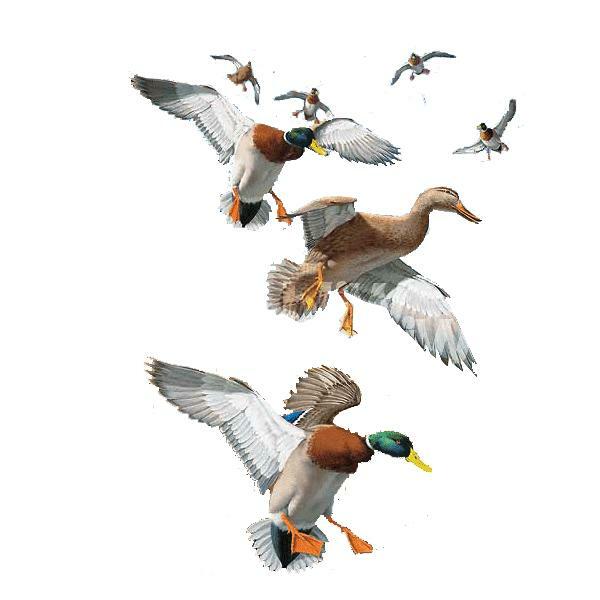 Point the wings of your spinning wing decoy upwind as this will be the direction ducks will come into your spread. The more flash that is created, by using multiple spinning wing decoys the farther away ducks can see your spread. Spinning wing decoys are most effective during the big migration when the northern plains have frozen over and the ducks push south for warmer weather. They are also effective during the early season. During these times you want to put your spinning wing decoy in the exact spot you want the birds to land. The birds will come in feet down and try to land on your spinner. On non-migration days or late season heavily hunted birds, you want to place the spinning decoy up or down wind 20 to 30 yards outside your decoys or off to the side. Experienced birds tend not to land where the spinner is located. The spinners will attract them, give them a hole in your decoys to land. On overcast days the effectiveness of the spinning wings goes down when there is little sunlight hitting the wings. A tip for cloudy overcast days is to put your spinner in weed cover or under trees as the motion out in the open without sun will scare incoming ducks more than it will attract them. Ducks have seen these spinning wing decoys from Canada all the way down to your hunting spot and the farther south you are, the harder time you will have trying to attract them. On migration days when the sky is full of ducks, the spinning wing decoy is unbelievable, the ducks will drop out of the sky. If you also do goose hunting while duck hunting you will find that the spinning wing will flare the geese off your spread. Things that can be done so the geese will not flare are remote control spinners, but every time I see geese coming I can never get to my remote in time. At Herban Hunter we have developed a pull string spinning wing decoy that allows you to control the motion when ducks are overhead and no motion when geese are approaching. This also works well on late season birds as the flash is not constant like they have seen in every other spread. There are no motors, 100% manual operation which make them legal in some states that have banned motorized decoys. If you want more feet down in your face duck hunting, where you drop your ducks in the decoys, then you have to experience the use of spinning wing decoys.